Lata Mangeshkarâ€”the nightingale of Indiaâ€”is arguably one of the most loved and acclaimed singer. People might adore her songs but do they know who her favourite singers are? Lata has now handpicked some of her favourite tracks sung by some legendary crooners of the industry which are being compiled in a record titled Pasand Meri, Geet Sathiyon Ke. The album which is being released by Saregama is a collection of five CDâ€™s. 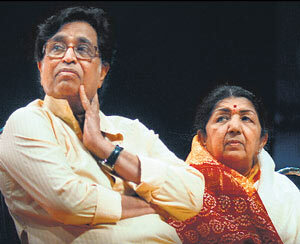 The collection will also have her father Master Dinanath Mangeshkarâ€™s Nain So Nain Milaye. Lata has also chosen some other stalwarts like K.L. Saigal, Noor Jehan, Ghulam Ali, Mukesh, S.D. Burman, Jagjit Singh, Mohammed Rafi, Geeta Dutt, Kishore Kumar, Hemant Kumar and Talat Mahmood. Lata has also picked singers like Manna Dey, her sisters Asha Bhosle and Usha Mangeshkar, Udit Narayan, Kavita Krishnamurthy, Sonu Niigaam and Shankar Mahadevan as her favourites. when you are just an option in their life. Quelling rumours of a serious illness, Lata said, â€œChronic arthritis had done my knees in. I was in constant pain and was unable to walk. I had to get the operation done as soon as possible. Doctors told me that my kneecaps had to be replaced. But there were chances of me not recovering fully.â€� Lataâ€™s kneecap surgery was performed by Dr Hemant Wakankar. Veteran singer Lata Mangeshkar is back on her feet, and how! The melody queen, who underwent a major knee surgery two months ago returned to her profession with recording the Hanuman Chalisa in a matter of a mere four hours. Recording the same takes todayâ€™s younger singers several days to complete. in Madhur Bhandarkarâ€™s film Jail. The Nightingale, you remember, 52 years ago sang Ae Malik Tere Bande Hum in V Shantaramâ€™s Do Aankhen Barah Haath â€” a song that inspired prisoners in the film and which continues to move Indians even today. Her song for Jail, Daata Sun Maula Sun â€” written by first-time lyricist Ajay Garg, is on the same lines, said Madhur. But what has tickled Lata more than this anthem or the fact that she returns to playback singing for Bollywood with it, is that Mukeshâ€™s grandson features in the film. According to the young actor, it was â€œLataji who named me Neilâ€�. She was with Mukesh doing a concert in the US when he passed away. As for the anthem, Madhur is hoping Daata Sun... becomes the new-age Ae Maalik... â€œIt has the potential to be hummed and sung in schools and colleges for all times to come,â€� said the filmmaker. Strangely, in the last decade Lata has sang just two bhajans that are becoming immortal â€” O Paalan Haare and Ek Tu Hi Bharosa, both for AR Rahman. NMK: And Kishore Kumar? Was he an extraordinary personality as widely believed? LM: Where do I start? When we were recording together, we did nothing but laugh. He never stopped. He sometimes even danced at the recording session. One day he told me a story: Dadamoni [Ashok Kumar] and his family lived in Khandwa, Madhya Pradesh. In those days, marriages were arranged, and their mother was going to see a girl for Dadamoni. Kishoreda told his mother he wanted to go with her to see his future sister-in-law. His mother was reluctant but he insisted. He poured so much oil in his hair that it was dripping down his face. [laughs]. Off he went with his mother to the girlâ€™s place, looking hideous. NMK: Did he make you laugh when you were actually recording? NMK: And Mukeshji. What did you like about his voice? LM: The reason I liked his singing was because he liked K.L. Saigal. Mukesh Bhaiya had even met him and the first song he sang Dil jalta hai to jalne de, composed by Anilda from Paheli Nazar was a carbon copy of K.L. Saigalâ€™s singing style. [Smiles] Whenever Mukesh Bhaiya and I met, we would talk endlessly about Saigal Sahib â€” in fact, he was the proud owner of Saigal Sahibâ€™s harmonium which he looked after carefully. We initially shared an admiration for this great singer but as time passed, I got to know Mukeshji better. He was a very good man. He was very fond of me and I considered him like a brother. In 1951, when he produced Malhar, I sang all the songs. But he lost a lot of money in the film. He later composed the music for Anuraag, and asked me to sing the songs, including a Kabir doha which was used in the title credits. Jako rakhe saayian maar sake na koi. Baal na baanka kar sake jo jag bairi hoi (No one can ever slay a man under Godâ€™s protection. Nor a hair on his head be touched even if the world opposes him). He accompanied me when I went on tour to America. He stood by me in every way. We were like family. In fact, I have been close to very few people in the film industry and Mukeshji was one of them. Indiaâ€™s nightingale Lata Mangeshkar may have ended up as one part of a composer duo - a bit like Shankar-Jaikishan - rather than the singer of 27,000 songs had her brother not dissuaded her. Unknown to the rest of India, Lata - the countryâ€™s greatest female non-classical singer - was quietly composing music for films in her native Marathi language and nearly ended up scoring for Hindi films, according to a new book on her. Lata says she wanted to keep her identity as a composer a secret but was outed at an awards ceremony when one of the four Marathi films for which wrote the music ended up a multi-award winner. She even gave herself a male pseudonym, Anandghan. â€œNo one knew I was composing film music, but then Sadhi Manas went on to win eight Maharashtra state awards, including best director, best singer, best story and best music,â€� she says in the book, â€œLata Mangeshkar, In Her Own Voiceâ€�, written by London-based documentary filmmaker and author Nasreen Munni Kabeer. On the awards night in 1966, Lata said she accepted the best singer award, â€œand then the best music award was announced. â€œAt one point I thought Hridayanath and I could become a composing duo like Shankar-Jaikishan, but my brother was not very keen. So, we dropped the idea. â€œSome years later, Hrishikesh Mukherjee asked me to compose music for his (1971) film â€˜Anandâ€™ but I politely refused. I was not keen on composing any more. I did not really have the time and was so busy recording. The book, which reproduces a series of conversations between Lata and Kabeer, is to be launched in Mumbai May 15. "The power of accurate observation is commonly called cynicism by those who have not got it." -George Bernard Shaw ." Lata Mangeshkar and her brother Hridayanath Mangeshkar had created history with their devotional album Meera Bhajans in 1968. It was one of the 10 highest selling non-film albums of the country. Four decades after their commendable feat, they are teaming up again to work on an album with the same theme. Incidentally, Lata had refused to sing for Gulzarâ€™s Meera (1979) saying that she has already sung the bhajans for her brother. Devotional songs have always been a favourite genre with her. â€œYes, Iâ€™ve done many devotional albums and loved the experience. Mujhe bhajan gaake bahut khushi hoti hai. Itâ€™s my favourite genre of singing. No form of singing gives me as much satisfaction as bhajans. Iâ€™ve also done a devotional album, Ram Shyam Gun Gaan, with Pandit Bhimsen Joshi,â€� she said. Lata Mangeshkar has also sung the Hanuman Chalisa for an album. But she feels that she didnâ€™t give the album her best shot. â€œI wasnâ€™t singing for a while because of my knee surgery. I even told my composer Mayuresh Pai that I feel I couldâ€™ve done better with the Hanuman Chalisa. I think every artiste continues to crave to do better until their death. Once you get smug about your work, youâ€™ve had it,â€� said Lata. Fifty two years after Lata Mangeshkar sang Ae malik tere bande hum, which had inspired prisoners in V Shantaramâ€™s film Do Aankhen Barah Haath, the legendary singer is now ready to inspire the Tihar jail inmates. The jail authorities have decided to make Lataâ€™s song Data sun le maula sun le from director Madhur Bhandarkarâ€™s Jail a daily part of the morning assembly. â€œWhen Madhur and Shamir (Tandon, music director) approached me they said it was a song similar to Ae maalik,â€� says Lata. She asked Shamir to send the song to her home, â€œNowadays, I like to hear what is offered to me before accepting. I immediately fell in love with Data sun le, but I had to cancel the recording twice before we finally recorded it. Earlier too, Madhur and Shamir had given me a beautiful song, Kitne ajeeb rishte hain yahan par from Page 3. 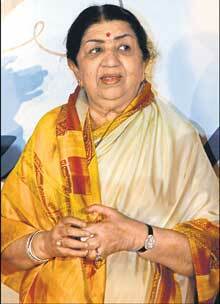 Apart from these, I hardly get any song worth singing these days,â€� says Lata. Her voice is husky and sensual, very different from that of the singing legend Lata Mangeshkar, but playback singer Rekha Bharadwaj still considers the nightingale of India her idol and describes Lata as Saraswati, the Hindu goddess of learning. "Lataji is my Saraswati. 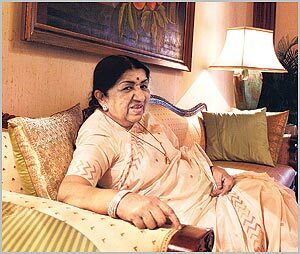 I am very fortunate that I got a chance to see Lataji's recordings and the way she prepares for a song. She is something else. Nobody can be her. We cannot reach that level," said Rekha. The singer says every song by Lata is a lesson in itself. "Whenever I need to learn something, I listen to her songs and see where she breathes out, where she breathes in, etc," she said. Rekha feels that such was Lata's talent that she used to lift even mediocre compositions with her voice. "Even at that time there were some mediocre compositions, but when someone like Lataji used to sing it she used to take it to some other level altogether - such is her talent." Rekha, who is married to filmmaker-composer Vishal Bharadwaj, has musical roots that lie in Sufi, folk and classical genres. She released her first album Ishqa Ishqa in 2004 to critical acclaim. However, it was her song Namak isq ak in her husband's directorial venture Omkara that really won her accolades. For more than six decades, her voice has captured the hearts and minds of millions of her admirers. Despite all the fame and success, however, Lata Mangeshkar continues to stay away from the glitz and glamour. In an interview with DNA, India's foremost playback singer talks about her brief acting career, her love for singing, and the few close friends she made in the course of her long career. People like you are irreplaceable. Is there any pressure being such a big icon? No, not after the love and fame I have received. I have always maintained that all this has been given to me by god and I have nothing to do with this. In our kind of work, one needs to have positive energy. Does this birthday, turning 80, make you nostalgic? Yes. Since I was four or five years old, I wanted to learn singing from my father. But I was too afraid to tell him. I sang in front of my mother and she told him to start teaching me. Baba passed away in 1942. I was 13 and had to start earning. Though I had started singing at the age of nine, I thought I should get into acting. I started acting in Marathi films, mainly produced by Master Vinayak. Three years later, I came to Mumbai and started to learn singing from Aman Ali Khansaab Bhendibazaarwale, while continuing being part of films. In 1947, after Master Vinayak passed away, I stuck to playback singing. I haven't stopped since. You have sung innumerable songs. Which has given you the most creative satisfaction? You won't believe it, but I don't listen to my own songs. I mostly listen to bhajans and shloks. I have stuck to one principle. I won't sing an obscene song. It's not that I couldn't sing the cabaret numbers, but I purposely stayed away from them. They wouldn't suit me. I think I couldn't do justice to them the way someone else would have. I have never sung even Marathi lavanis. I have sung one in V Shantaramji's film, Amar Bhupali. I remember clearly that when Raj Kapoor approached me to sing Main kya karoon ram mujhe buddha mil gaya, I refused to sing it. He convinced me that it would be picturised on a married woman teasing her husband. Till today, I haven't seen the picturisation of that song. You haven't had much of a personal life. Any regrets? None. I might have missed a lot in life, but you see, god has given me a lot of name and fame. I don't even know if I deserve it. But for what I didn't get, afsos nahin, dukh nahin. Jo mila hai wahi bahut hai. I believe you have to work hard to be successful. Yes, at times there will be people who appreciate you, but at the same time there will be some who talk ill of you and spread lies. Mere saath yeh sab hua hai. Kaafi logon ne mujhe tang kiya hai, baaton se pareshan kiya hai. I just ignored them. Chhod do. Koi aapka kuch nahin bigad sakta. But I must tell you that every music director I have worked with gave me immense respect. SD Burman and Naushad treated me like their daughter. Naushad and I used to talk for hours together. SD Burman was like my brother. Even writers like Majrooh Sultanpuri and Shailendra respected me. I also used to tie rakhi to Madan Bhaiyya [music director Madan Mohan] and Shankar-Jaikishen. So along with the brickbats, I also got loads of love. I make sure that I give immense respect to everyone I come across. I talk with respect even to my servants and driver. Most of those people you mentioned are not around any longer. Do you feel lonely at times? Yes, I do. Let me tell you a secret. I miss some of my fellow singers the most. Kishore [Kumar], Mukesh Bhaiyya, Talat Saheb [Talat Mahmood], Hemant Kumar, Geeta Dutt. I really miss them. Geeta was going through a tough phase in life and she would come and discuss her personal problems with me. So did Kishore. 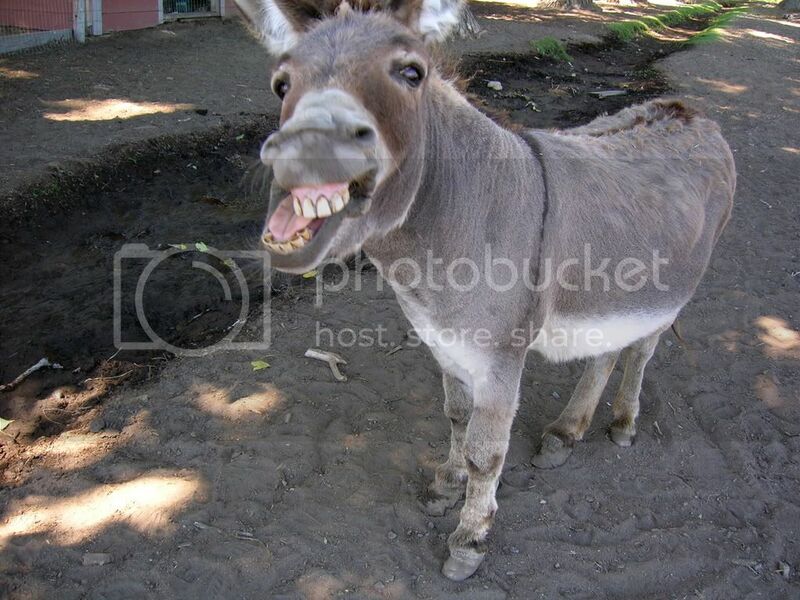 He seemed like a funny man, but he had a lot of unhappiness in his life. They would confide in me. I miss their friendship. I will always miss them. We were a close circle of friends. Mumbai: There are few things argumentative Indians agree wholeheartedly with. That Lata Mangeshkar is India's premier singer is one of them. True, there are dissenters: many feel she is no longer what she used to be. Others say there are and have been singers as good, if not better. Still others pooh-pooh film music and put it far below classical music. None of these criticisms detracts, however, from the fact that Lata Mangeshkar has given voice to our hopes, aspirations, loves, losses, and every conceivable mood of the human condition. She has done so for generations and she has done it with aplomb and grace. We have woken up to her songs -- Jaago mohan pyare -- and gone to sleep with them -- Dheere se aaja re akkhiyan mei. We have loved and lost a million times, cried with her, and gone into a romantic swoon with her. She is the one we turn to when we want to get maudlin, and then she cheers us with a hummable song that stays in our heads the whole day. Her story is well known: coming from a musical family, brought up in relative poverty, singing at an early age to support her family after her father died; making it big after years of struggle, and then, gradually, consolidating her position as India's premier singer. She has sung thousands of songs, the estimates go up to 30,000, but there is no real count. We love her not merely for her voice, her omnipresence, or her longevity, though those are important. For us, Lata Mangeshkar is much more than that; she represents a simplicity and dignity that is uniquely from this soil and imbued with a sense of Indianness. She dresses simply in a sari (usually white), with little more than a few discreet bits of jewellery. She keeps a low profile, staying away from the world of glamour that is all around her. She has had her share of quarrels and controversies, but they have never got ugly or cheap. It is this grace that has endeared her to us even more. Lata's pan-Indianness is also gauged from the fact that she has sung in almost every language as if it were her own. Stung by a remark that her Urdu was shaky, she worked hard on her pronunciation, winning over even her critics. But while being rooted in the Indian ethos, she has loved Western classical and pop music. As a professional she has fought for the rights of singers. She demanded and got royalties for singers when her contemporaries were satisfied with the fee they got. She has now been heard complaining that the frequent use of her songs on new media have brought her -- and her colleagues -- nothing, which she finds unfair. Lata Mangeshkar has been with us ever since India became independent. She began singing before 1947 and has been singing ever since. There were doubters who had then claimed that she got her chance because Noorjehan left for Pakistan. But forgive them, they know not what they say. Noorjehan, while undoubtedly a great singer, had serious limitations and, sooner or later, Lata Mangeshkar would have risen to the top on her own steam. Talent -- and, in this case, a divine gift -- cannot be hidden for long. Now, of course, she is an icon, a national treasure and a ratna who belongs to all of us. She is the soul and voice of India. I didn't know Lataji well in the initial phase of my career. I had heard she was a snob, so I was wary. But one incident changed my opinion. Soon after the 1971 war, many actors and singers travelled to the border area of Bangladesh. I was put up with Nargis and Lataji was staying in the adjacent room with Mala [Sinha]. Our bathrooms didn't have water and we knew that Lataji's did. Both of us hadn't taken a bath for two days, but we were scared to ask her. Finally, when I asked, she was extremely polite and let me in. Midway through my bath, the water stopped. Lataji quickly got the jawans to bring two buckets of water and carried them herself to the bathroom. After we came back, she invited all of us, including Sunil [Dutt], for dinner. Since then, we are friends, though I am not in constant touch with her.I met her recently a few months back and it seemed like there has been no time gap. God bless her! We have worked together for 50 years and I am still awestruck by her talent. She is not a singer, she is a legend. She first sang for my debut film, Dhool Ka Phool. The lori she sang, Tu mere pyaar ka phool hai... still touches me. I don't think any singer in the world could last so long. She still has the same passion in her singing that she did when she started. When she came to sing for my film Veer-Zara, she broke down while singing Tere liye hum hain. She remembered Madanji (Madan Mohan) who had composed the song 35 years ago and couldn't stop crying. Every song, about 50 of them, she has sung for me has been sung with her heart and soul. She objected to singing certain songs which she thought were not decent. A singer should be given that freedom. I hope she continues singing for many more years to come. Whatever we are is because of her. She is beyond praise. We wait for her birthday throughout the year, but she doesn't meet anyone on her birthday. I look up to her. She is Saraswati ka vardan for us. She is going to be 80 now and we hope that she lives a healthy and long life. Though she has achieved so much in life, she has never thrown her weight around. Her nature is such that she continues to help people, advise them, and talk to them with love. I send her flowers on her birthday and take her advice whenever I want to. Lataji has been like a member of our family and we respect her immensely. To me, she is Didi. I am always moved by the affection she has for our family. I recall vividly the first time I met her. It was at a souvenir shop in Geneva. I deliberately lingered on in the shop until she spoke to a salesperson, just to hear her voice. Little did I know that it would be the beginning of a family relationship. Our entertainment business, HMV Saregama, has had ties with Lataji since 1946. Her life has been about exploring innumerable possibilities with music as a medium and about inspiring the common man. It is an honour for us to continue to partner with Lataji during her distinguished career as the Nightingale of India. Recently, I invited her to spend an evening with us at a small gathering. She had severe pain in her knee. Nevertheless, she came. That's Lataji; always doing things for others. Celebrities reminisce about their first encounters and the time spent working with Lata Mangeshkar, on the occasion of her 80th birthday today. I didn't know Lataji well in the initial phase of my career. I had heard she was a snob, so I was wary. But one incident changed my opinion. Soon after the 1971 war, many actors and singers travelled to the border area of Bangladesh. I was put up with Nargis and Lataji was staying in the adjacent room with Mala [Sinha]. Our bathrooms didn't have water and we knew that Lataji's did. Both of us hadn't taken a bath for two days, but we were scared to ask her if we could bathe in her room. Finally, I mustered courage to go and ask. She was extremely polite and let me in. Midway through my bath, the water stopped and I called out to Lataji to help. She quickly got the jawans to bring two buckets of water and carried them herself to the bathroom. That's when I realised that one shouldn't go by the public perception of a celebrity. Obviously she can't be too warm and friendly with every person she meets. After we came back from there, she invited all of us, including Sunil [Dutt], for dinner at her place. Since then, we are friends, though I am not in constant touch with her. During the recording of Lamhe, I was told Lataji would be there, so I made it a point to reach the studios to meet her. I met her recently a few months back and it seemed like there has been no time gap. God bless her! For more than half a century, a lot has been written about Lata Mangeshkar and one has hardly anything to add. Even the highest award of the land, Bharat Ratna, has been conferred on her. We have been waking up and going to sleep listening to her voice since the pre-Independence era. Since the time singers like Noorjehan left, hers is the voice that has ruled our hearts. Need I say more? Lataji has been like a member of our family and we respect her immensely. To me, she is Didi. I am always moved by the affection she has for our family. I recall vividly the first time I met her many years ago. It was at a souvenir shop in Geneva. I deliberately lingered on in the shop until she spoke to a salesperson, just to hear her voice. Little did I know then that it would be the beginning of a long family relationship. Our entertainment business, HMV Saregama, has had ties with Lataji since 1946. Her life has been about exploring innumerable possibilities with music as a medium and about inspiring the common man. It is an honour for us to continue to partner with Lataji during her distinguished career as the Nightingale of India. Recently, I invited her to spend an evening with us at a small gathering. She had severe pain in her knee. Nevertheless, she came. That's Lataji; always doing things for others. Not only is she is a leading light in the film industry, but also an apostle of simplicity. We have worked together for 50 years and I am still awestruck by her talent. She is not a singer, she is a legend. She first sang for my debut film, Dhool Ka Phool. The lori she sang, Tu mere pyaar ka phool haiâ€¦ still touches me. I don't think any singer in the world could last so long. She still has the same passion in her singing that she did 69 years ago when she started. When she came to sing for my film Veer-Zara, she broke down while singing Tere liye hum hain. She remembered Madanji (Madan Mohan) who had composed the song 35 years ago and couldn't stop crying. At this stage of her career, nothing can describe the passion and professionalism she has displayed all these years. All adjectives fall short. Every song, about 50 of them, she has sung for me has been sung with her heart and soul. She objected to singing certain songs which she thought were not decent and I totally support her. A singer should be given that freedom. I have always allowed her to say no, not that she did many times. Why force her to do something she is uncomfortable with? Apart from the lori in Dhool Ka Phool, my favourite is Aurat ne janam diya mardon ko from Sadhana. I hope she continues singing for many more years to come. Whatever we are is because of her. She is beyond praise. We wait for her birthday throughout the year, but she doesn't meet anyone on her birthday. I look up to her. She is Saraswati ka vardan for us. She is going to be 80 now, but we hope she continues to live longer.